There are a lot of therapists for someone to choose from. Getting a good one is another story. Knowing if this person is qualified for the challenges and issues you face is the big question. So, what should you do? Almost all of the therapists you meet will be nice and kind people. While this is a good first step, it is just the first step of your investigative journey. At Bayridge Counselling Centres we encourage clients to ask several critical questions before choosing a therapist. First of all, what training have they had to deal with your area of need? Secondly, do they belong to a regulating body of therapists? Accountability is a must. Thirdly, are they solo practitioners or are they surrounded by a team of professionals? As we all know, a team of professionals specializing in different areas brings superior care. Couples and families seldom come to our clinics with just one issue. That’s why at Bayridge Counselling Centres we create professional teams that specialize in targeted areas for youth, children, couples, and families. Simply because every family is unique! Fourthly, we make sure that there is a great fit with your therapist. We are all different, so your therapist needs to fit like a glove. Research clearly shows that this directly affects successful outcomes. Again, a team facilitates transitions with ease. Lastly, we know that to cement change in any of us, consistent follow-through is necessary. At Bayridge we believe that if we can get the brain working for you, rather than against you, we are far more likely to be celebrating with you when you achieve your goals. By choosing Bayridge you are choosing a therapist that is more than just nice; you are choosing a professional team who cares through their effective work. What Makes Bayridge Counselling Centre in Burlington a Good Choice? If you are going through a difficult situation in life, getting professional counselling can be extremely helpful for you. Counselling gives you a chance to talk freely to someone about all your thoughts without worrying about how that person may judge you. This can help you view a situation more objectively, allowing you to make rational and practical decisions. 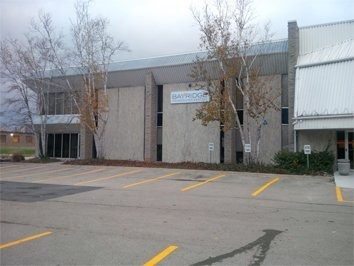 The Burlington Bayridge Centre has been seeing people now for over 25 years. We have been the choice for tens of thousands of individuals, couples and families that call Burlington home. With a team of experienced professionals working with us, we ensure that a completely non-judgemental and understanding environment is offered to people visiting our counselling clinic in Burlington. It is our large team of specialist that separates our centre from so many others. When Should You Consider calling our Bayridge Counselling Centre in Burlington? Why Visit a Professional Counselling Centre in Burlington? There are several benefits you receive by visiting a registered counsellor at our Burlington Centre. The most important of these is helping you deal with a difficult situation in life in a better way. In addition, counselling gives you a chance to assess a situation in a more unbiased and positive way, allowing you to increase your positivity and productivity. Talking with a professional counsellor can be a good way to get your thoughts organized, allowing you to build your self-awareness and self-esteem significantly. With proper counselling at our counselling centre in Burlington, you can learn how to make realistic goals and boost your confidence to achieve those goals. You will also become more positive and the negativity will seep out. Therefore, counselling is certainly something you should consider if you are facing a difficult time in your life. Is Counselling Covered by Insurance in Burlington? That depends on the type of insurance coverage you have in your healthcare policy. Some insurance policies provide coverage for counselling, so make sure to ask your provider if you have insurance. You can also ask your employer if they offer counselling covered by benefits in Burlington as there are some companies that offer it to all their employees as a part of their well-being maintenance.